The project operates the switching mechanism of industrial loads for repeated operations with the help of a user programmable logic control device. 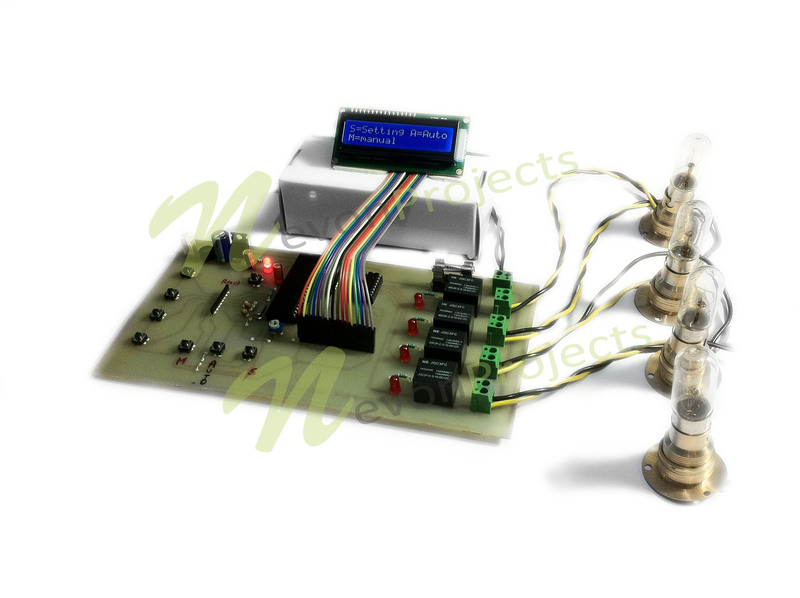 The project uses three switches and a microcontroller of 8051 family that operates the loads in three modes: set, auto and manual mode. In set mode, the load works according to the specified time and in auto mode it operates in default time. In the manual mode, user can manually switch the load. The status of the loads and mode are displayed on LCD. This project is useful in industries where the loads are operated in repetitive orders and in time intervals. Programmable logic controllers used in industrial applications are very expensive for simple operations like sequential switching of loads. 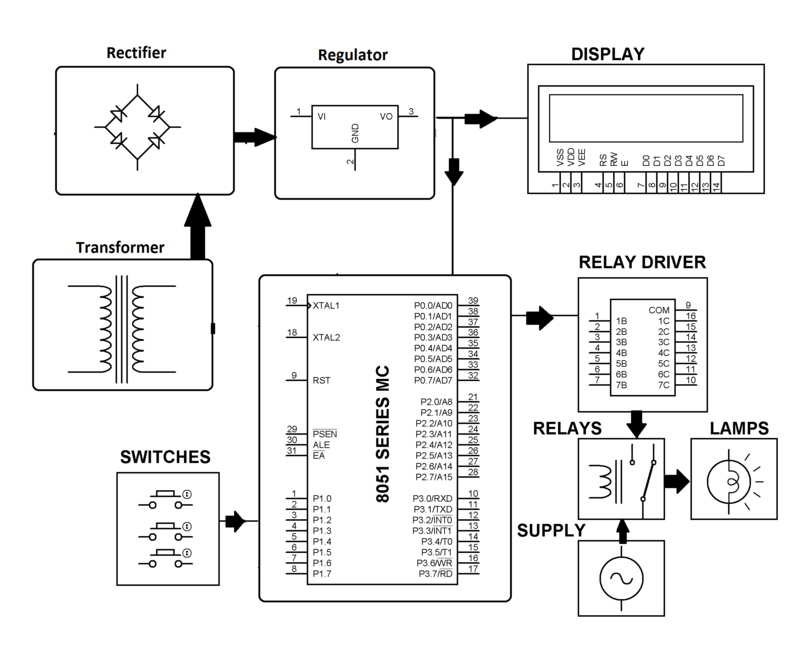 In this project we demonstrate the working of this simple operation using a microcontroller of 8051 family. In industries, there are many tasks are carried out which requires some repeated operation in various orders and time intervals. For example, certain loads need to be switched ON/OFF in specific time intervals. 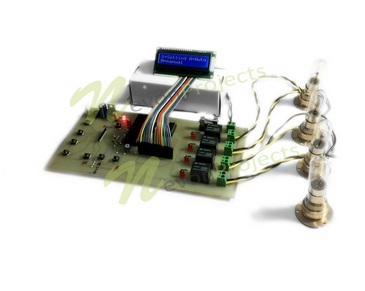 In order to achieve this, microcontroller is programmed in such a way that the loads a can be operated in three modes: Set mode, Auto mode and Manual mod. Thus, tasks performed by costly PLCs can now be achieved using a microcontroller making the device cost effective.